Here are a couple photos that begin to give you a picture of the Sonshine experience. 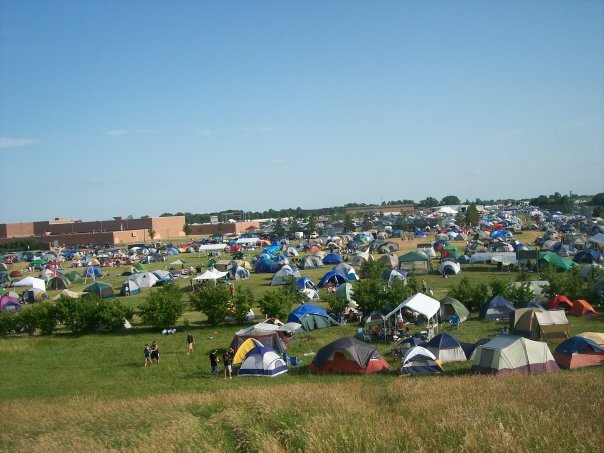 This is a small glimpse of “tent city”. This is was taken on Wednesday when people were still “moving in”. In a matter of hours from when this picture was taken you won’t see much grass anymore. 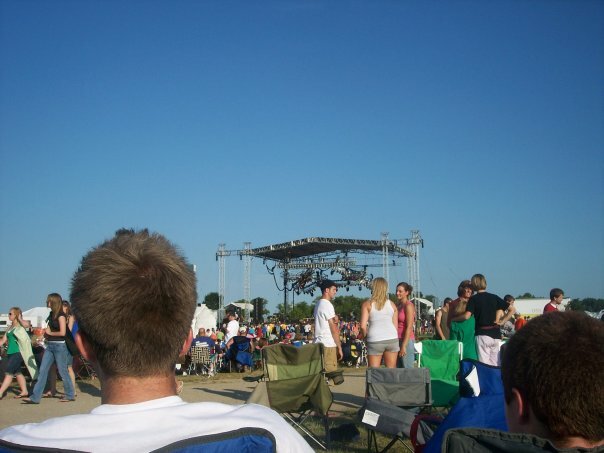 …and this is the back of my head at the main stage. This definitely does not give you an idea of what the main stage experience was like, but if you image about 20 to 30 thousand people sitting in lawn chairs, then that will be a start.